Solid Source Realty is a veteran woman-owned independent real estate company that opened in the metro Atlanta market with one agent in 2003. 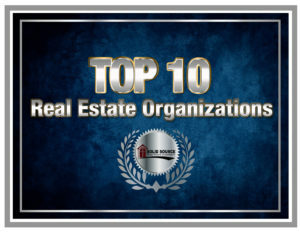 Within five years, the firm expanded to over 2,000 real estate agents, eight office locations and was recognized as the #95 Fastest Growing Privately Held Firm in the nation by INC. Magazine. This extraordinary growth was achieved organically by consistently identifying new ways to enhance the client and agent experience. Real estate agents and staff are held accountable for honest communication and maintaining professionalism at all times. Office staff embrace a commitment to excellence and offer a superior level of service to clients, customers and our Solid Source family of agents. Solid Source Companies have been debt free since establishment and will be as long as we are in business. The heart of Solid Source is committed to providing hope and opportunity to orphans, widows and the working poor families in the most desperate need. We work through ministries with a sustainability plan and exit strategy committed to teach people to “fish” instead of “accepting fish”. 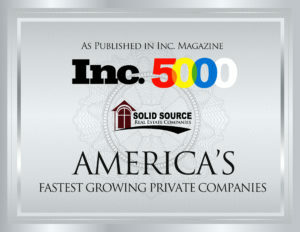 We would like to thank our clients for choosing Solid Source. It is this decision that provides the ongoing financial ability to sponsor life-saving water, school land and buildings, SAFE plans for orphans and widows, mentor courses to grow next generation leaders and much more.